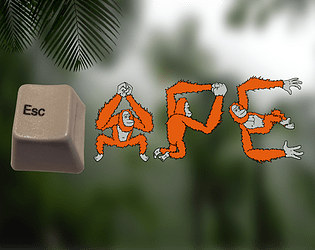 Use one button to help Esc the ape escape! Kinda reminds me of the rage games out there. Simple mechanic that's tough to master and can be frustrating. Love it! Really cool game. Music was excellent! Thank you! I'm so glad you had fun! I made the music on my 3DS (korg m01d) a while back, and it sounded jungle-y enough that I thought this was the time to use it. This is an interesting and fun mechanic. It's frustrating in a way that makes me want to keep trying. I think the game could benefit from the first screen being a bit easier so I could get a taste of satisfaction and want to spend longer trying, but overall I love the controls. 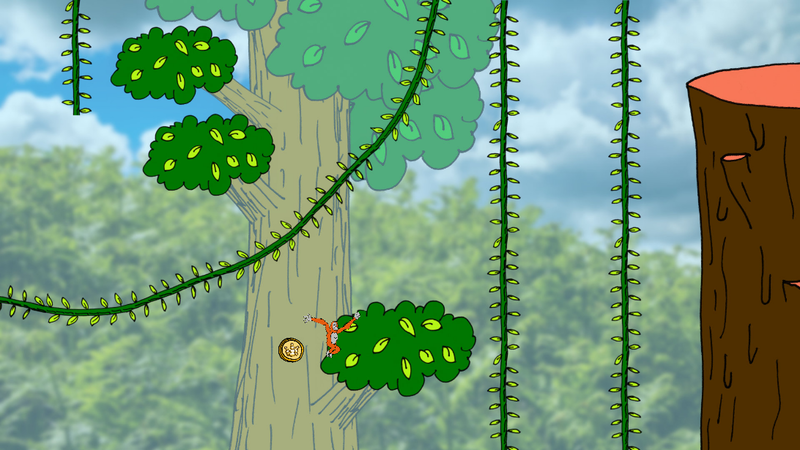 I love games with unorthodox control schemes, as I think they end up being some of the most creative (and rewarding). 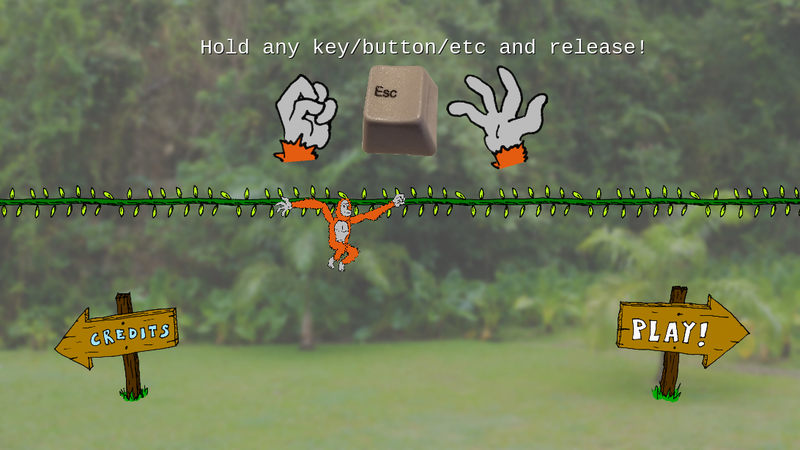 This one is reminiscent of DK: King of Swing, and not just because there's an ape in it ( it's a Game Boy Advance game that uses two buttons, one for each of Donkey Kong's hands). 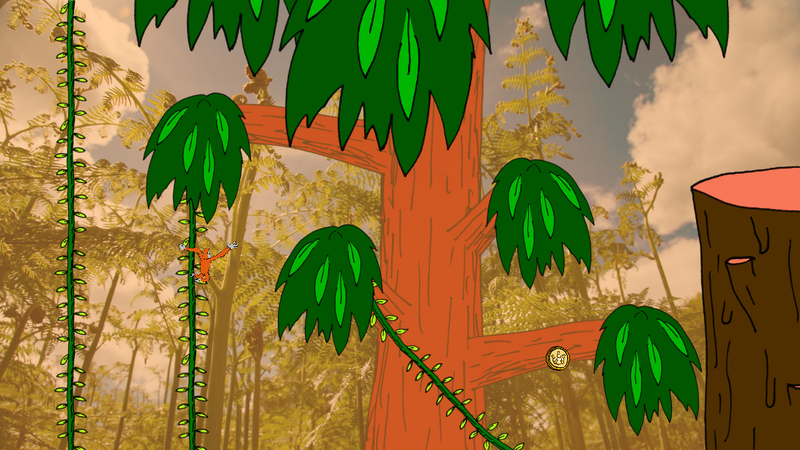 I like how you made the things you can grab stand out from the rest of the level. 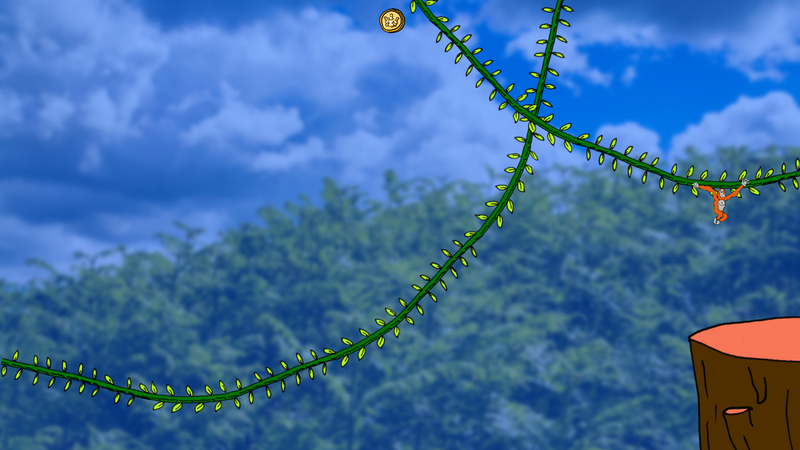 After using 4 mins to actually get into the game, I jumped to my death 7 times before quitting the game. It just feels like the mechanics of moving around needs more polish.